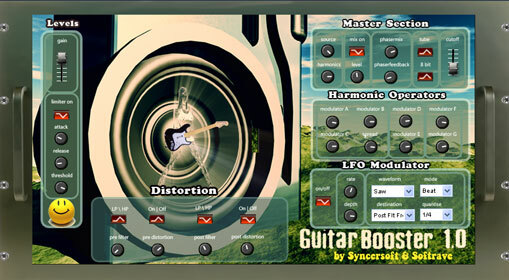 You can purchase GuitarBooster 1.0 with Paypal or debet & credit card. in a special way that open a venue to experiment and possibility to achieve bass sound that you want. 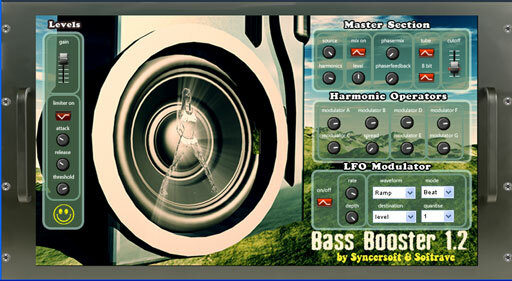 LFO section was designed specialy to create effects of tempo synced distortion, modulation etc With help of this section you can control pulsation of harmonics with temp syncing or manually. To assign controller to knob make a right click of the mouse on virtuall controller and you will see pop-up menu where you can choose controller. 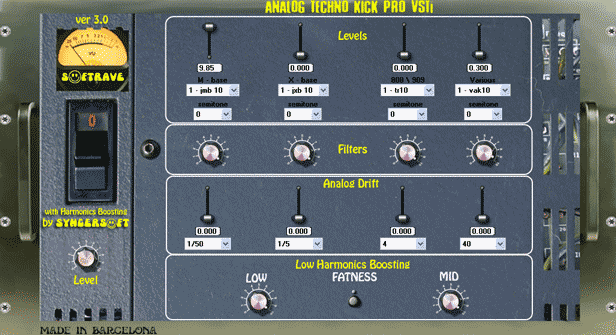 It also contains switchable tube emulation and 8 bit section to create new effects usable in modern electronic music. Tube effect make sound warmer in a way it happens in circuit of tube amplifier. Main trick for 8 bit is that you can create chiptune sound at high and middle section but still has good bass at low frequency. With help of this you can play 8-bit sounding guitar live. dj kind of effects in realtime. Level section contains gain to control the volume and limiter that you can tune for your needs. 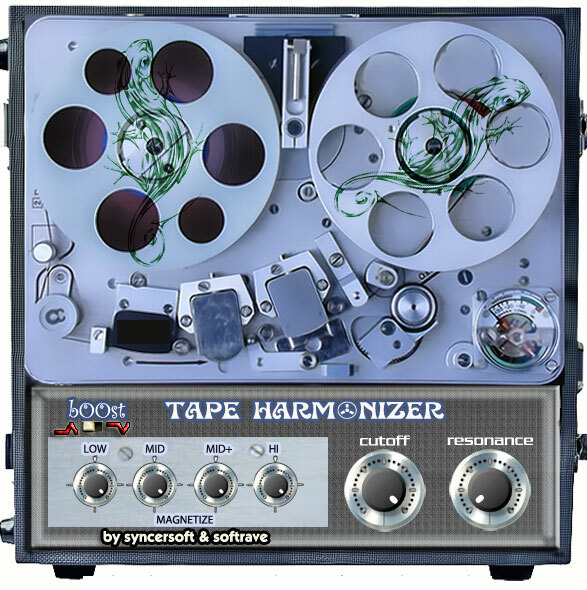 TapeHarmonizer VST 1.0 to create emulation of professional Reel to Reel sound that can make your sound warm and analog -like.